I have been seeing a lot of girls attempting pointe work through various social media networks who clearly do NOT have any ballet training. 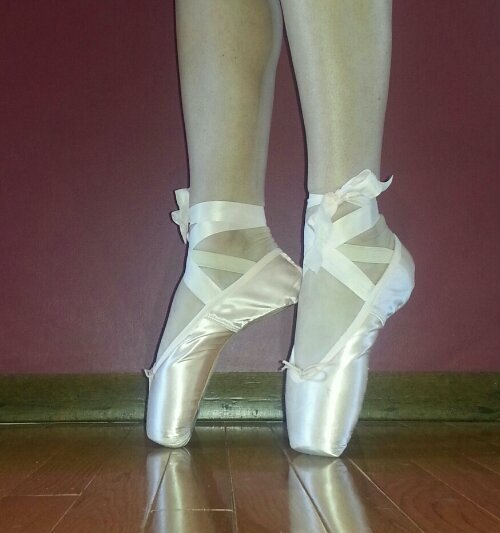 Dancers work very hard for years strengthening their feet and body in preparation for pointe. 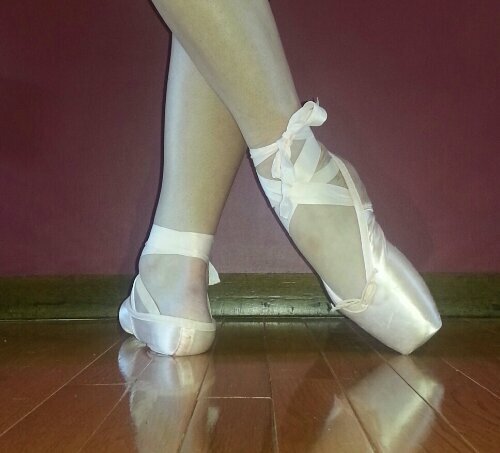 It is extremely dangerous to just go buy a pair of pointe shoes and think you can train yourself. Dancers can end up injuring themselves very badly or even permanently! The first major giveaway that someone is trying to selt teach, it the ribbons on their shoes. Not only do some look like they were purchased at a craft store, but they are not tied properly! 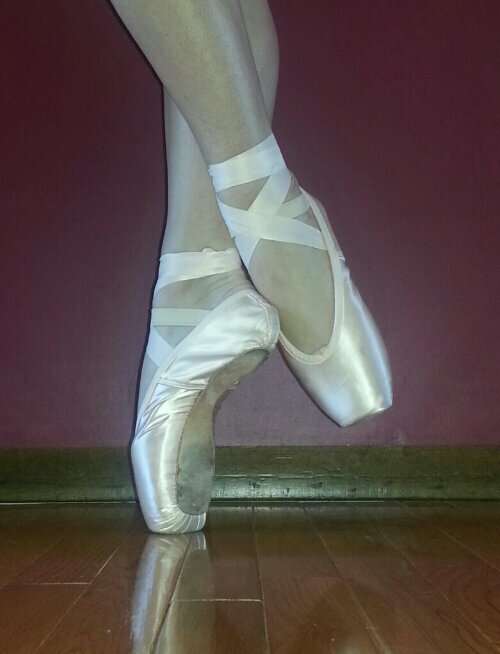 This is not proper alignment en pointe and is very dangerous. I’ve seen many posted pictures and videos of shoes like this. 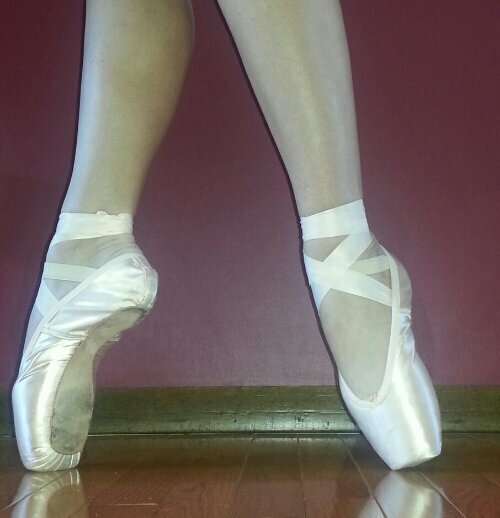 I’m not trying to say girls should give up their dreams of pointe at any age! 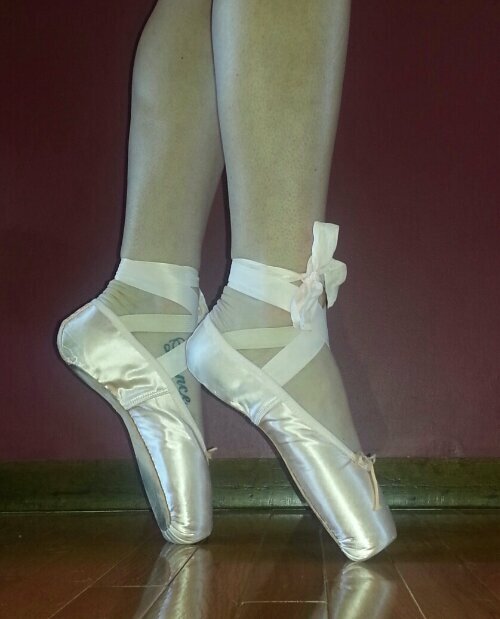 If you want to dance on pointe, please take lessons with a quallified teacher, and learn safely!